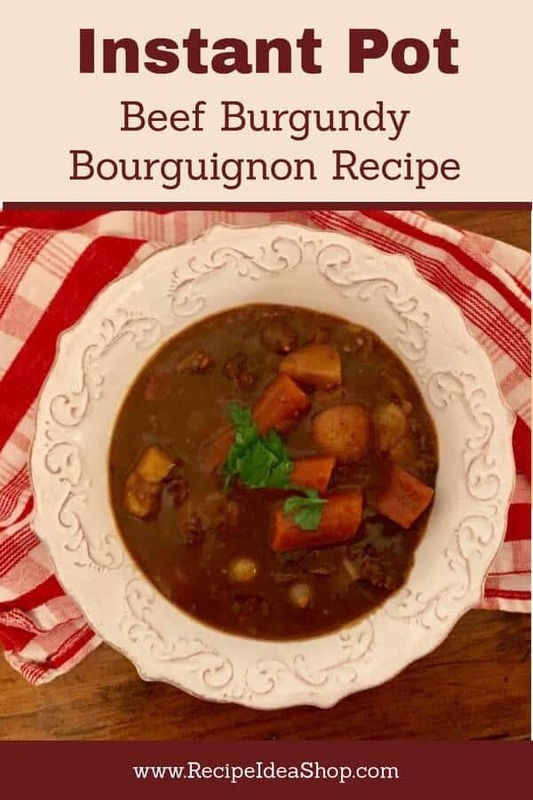 This Instant Pot Beef Burgundy Bourguignon Instant Pot Recipe is super easy and such a robust, flavorful beef stew that everyone will kiss you for making. This Instant Pot Beef Burgundy Bourguignon recipe rivals Julia Child’s version and it takes a lot less time! Hi. 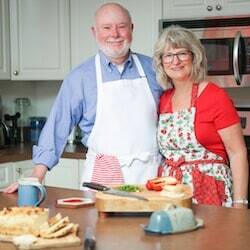 It’s Lois, telling you about my experience making Instant Pot Beef Burgundy Bourguignon in my new Instant Pot. It’s a simple, make-it-in-one-pot recipe, that is so packed with flavor, I will definitely make it over and over. In fact, I have already made it three times before I even put up the recipe! I made it once with beef, once with lamb and that last time, I made it vegetarian. And it is SO AMAZING. 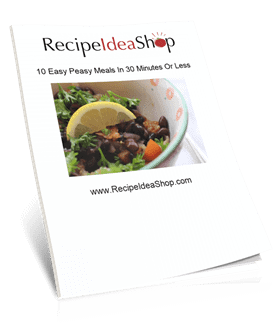 I modified each recipe a bit, so I will put all three recipes up soon. This recipe is based on The Best Instant Pot Beef Bourguignon recipe from The View from Great Island. All the other recipes I found for regular Beef Bourguignon call for bacon and some call for bay leaves, so I switched up Sue’s original recipe a bit by adding both. It was to die for! If you are a pro at Instant Pots, you can make this recipe in about an hour and a half. The actual pressure cooking time is 30 minutes, but you have to sauté the meat in the beginning, and wait 15 minutes for the pressure to reduce after cooking. Being that I’m an Instant Pot newbie and a mechanical idiot, it took me two hours, start to finish. But it was SO worth it and easily doable after work, especially of you prep the veggies earlier in the day or week. Did you know that Worcestershire sauce contains anchovies? It is gluten free, though. If you are not big on anchovies, you might want to try this Vegan/Gluten Free Worcestershire Sauce. Lenox makes some lovely French dinnerware. Buy it on Amazon. This Instant Pot Beef Burgundy Bourguignon is a hearty beef stew you can make in your Instant Pot, even better than Julia Child's version. Press the Sauté button on your Instant Pot. When the sensor reads “Hot,” put the bacon pieces in and sauté them until crispy, stirring periodically. While the bacon is cooking, mix 2 tablespoons of gluten free flour with the salt and pepper. Then toss the beef cubes in this mixture until well coated. Add the floured beef to the pot and sauté in small batches until nicely browned on all sides. Remove the beef and bacon and set aside for a bit. Deglaze the pot with the brandy. This means pour the brandy in and using a wooden spoon, scrape and loosen all the little brown pieces of meat and goodies that are in the bottom of the pan. Add the meat, onion, celery, potatoes, carrots, mushrooms, and garlic to the pot. Press “cancel” to stop the sauté function. In a bowl, whisk together the red wine, beef broth (reserve ¼ cup), tomato paste, and Worcestershire sauce. Pour this mixture into the pot and give the pot a little stir. While the meal is cooking, whisk together the remaining beef broth with 4 tablespoons of gluten free flour and the Kitchen Bouquet browning sauce, which makes what is called a slurry sauce. When the machine beeps, press cancel and let it rest for 15 minutes before releasing the pressure valve. Open the lid and remove the thyme bundle. Set the pot to “sauté” and add the pearl onions and the slurry sauce. Continue to cook, stirring frequently, until the gravy thickens (about 5 minutes). Serve immediately in soup bowls. 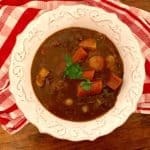 Instant Pot Beef Burgundy Bourguignon Nutrition Label. Each serving is about 2 cups.